Minibus Transport Solutions provides airport transfer services in Romford you can Book Taxi from Romford to Heathrow Airport, Gatwick airport, tansted airport, Luton airport, London city airport, Manchester airport, Birmingham airport and Glasgow airport with driver and all those facilities which you can imagine. If you have ever travelled through any travel agency, you must have heard of our name. And if you are planning it for the first time do compare our service with others, so that, you could come to know the difference which we have from other travel agencies. As it is the name of trust, reliability and elegance. We provide 7, 8, 9, 12, 14 and 16 seater Luxury Minibus Hire facility for all events like family picnic, wedding, business, theme parties and all such occasions where you need transport. 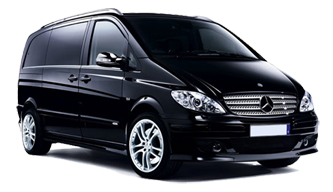 Minibus hire Romford has ensured quick and efficient facility by providing all needs regarding journey specific. Therefore, you can visit our web page where you can have access to all pricing plan and like that. We provide pick and drop service with driver. We also provide Seaport Transport Services and cargo of private confidential documents to the dry ports as well. We have maintained cheap prices after surveying all other companies but still our service is more luxurious than others which you will must observe by travelling with us or at least visit all facilities at our website. And if you find any flaw, please give us your valuable comments. Your comfort is our priority. By using our service, you can save your time and valuable assets as we have ensured availability of our Minibus and Taxi to London 24 Hours a day and 7 days a week. We have also taken in view the risk factors like of addicted drivers and have employees which are not addicted. In case of any such complaint you can call us or register complaint at our website. You can also give us suggestions to improve the travel pleasure. Your comments will be highly praised. Therefore, please do consider to contact us whenever you need to hire the minibus or a taxi.